Well I would like to extend my personal thanks to all who joined us here at Hook’n Them Up Fishing Charters this year. It was a slow start with all that weather but we made it through it and finished out the season strong… Lots of Chinook, Coho, Sockeye and Pink Salmon caught this year and several nice Halibut as well… So until then see ya next time right here in the Oak Bay Marina with Hook’n Them Up Fishing Charters Victoria BC’s south island hidden Gem for Salmon and Halibut Fishing. Until next time tight lines and tips up and god bless to you and yours have a safe fall and winter and we will see you all again very soon. 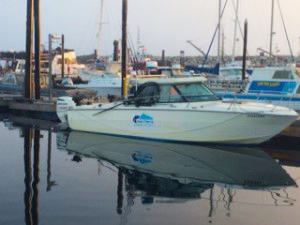 Please contact either myself at [email protected] or 250-882-5088 or 250-598-3369 for the Oak Bay Marina to book your trip for next year thanks again folks.